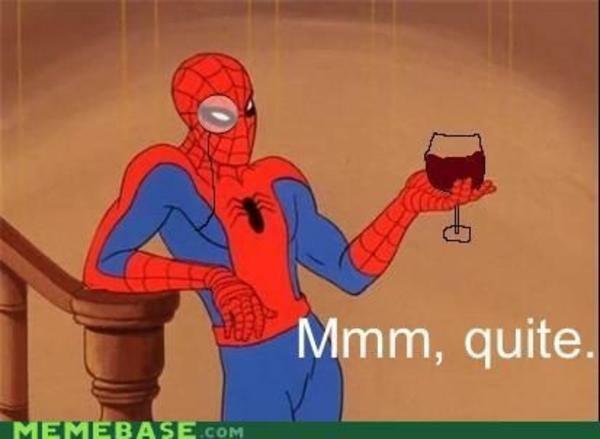 Captain America is shown to not be able to get drunk. 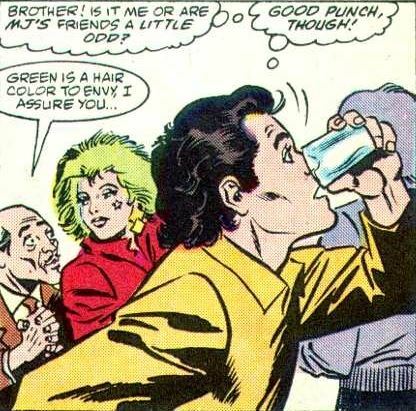 With Spider-Man's body operating at even higher levels than Cap, has he ever been shown to be drunk? 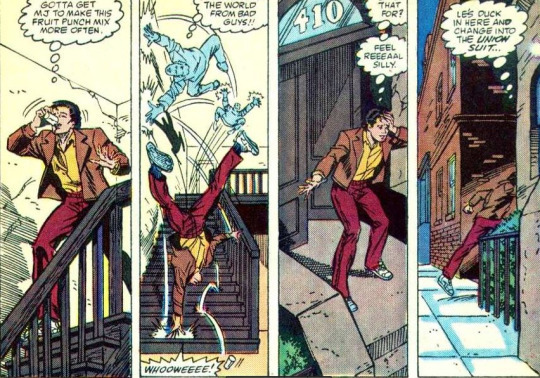 Yes, Peter Parker/Spider-Man has been drunk in the comics, and it got in the way of his vigilanteing heroing. 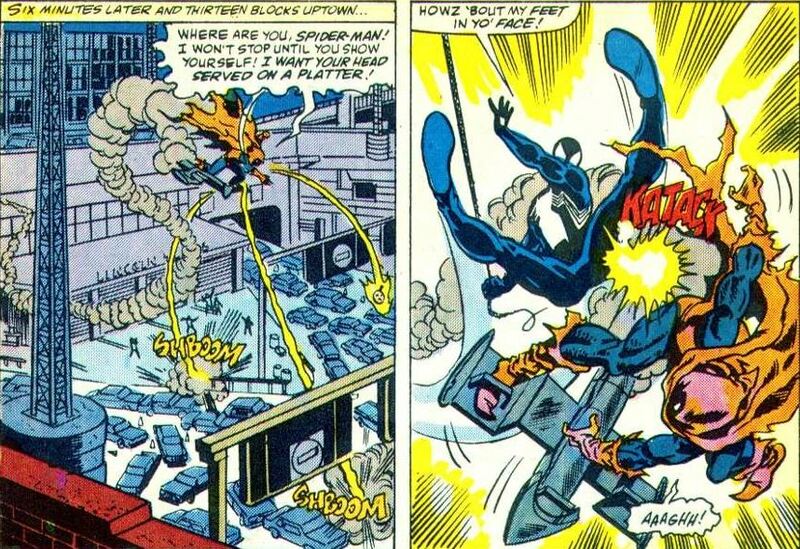 This happened back in Web of Spider-Man #38(1988). 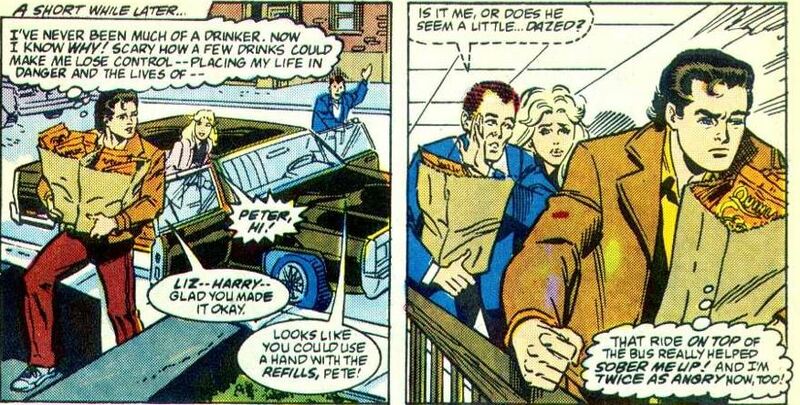 Peter is at a party and gets drunk, and ends up running off to fight the Hobgoblin. After he almosts gets some innocents hurt, he pretty much swears off drinking. Not the answer you're looking for? Browse other questions tagged spider-man marvel or ask your own question. Can Captain America be Poisoned? Is Magneto able to manipulate Vibranium? What are the different ways that Spider-Man makes webs in the comics? How much does Captain America eat and poop? Has J. Jonah Jameson ever accused Spider-Man of being a mutant? How much does each cartridge of Spider-Man's web shooters weigh? How was Spider-Man persuaded to join the side he did? How strong is Spider-man's webbing? 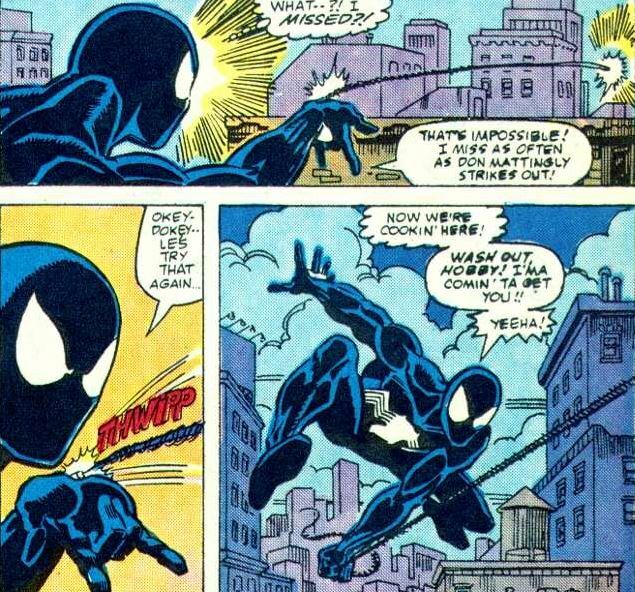 Why did Venom keep spider thread after separating from Peter Parker?